A national icon, John Barnes became known as the 'jewel' unearthed by Graham Taylor. 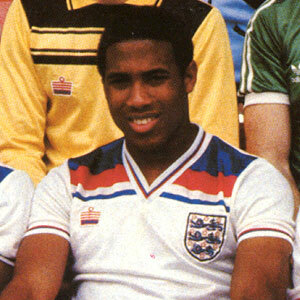 Born 7th November 1963 in Kingston and raised in Jamaica, John Barnes came to England because his father was Jamaica’s military attaché to London in the late 70s and early 80s. In 1981, when he was just 17, John found himself at Watford FC via recommendation from one of the club’s fans. He soon became known as the ‘jewel’ that Graham Taylor admitted he might have unearthed. John played for Watford for six seasons. He moved on to Liverpool, Newcastle and Charlton. After that he made a giant leap, moving to Celtic as manager and steering them to victory in nine out of the first ten games. He was a national icon, the hero of many Jamaicans. Awarded an MBE, he is now a regular television pundit. Why is there no reference to the 79 England caps won by John Barnes ?